When we look at the new age eBook readers, we can’t help but marvel at incredible things they do. An age-old notion was that eBook readers came out only for reading text format eBooks. Slowly and steadily, that scenario no longer exists. Though, yes, the eBook readers are for eBook reading, they aren’t just that. 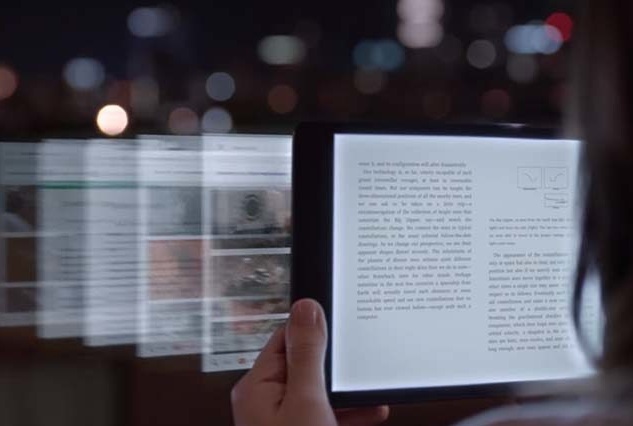 Many of the latest eBook readers become an all-purpose device, connecting you to the web world, allowing you to play music and videos, etc. They are practically an all doing electronic device. But in these times, it is easy for the makers to get swayed by the technology at hand. They still have to give the readers all that they want from an eBook reader. Speed and ease of reading, features which enhance reading, etc. Enter The BlueFire Reader. BlueFire reader comes from the base thoughts of creating an all-in-one solution for Adobe basing e-reader apps. Essentially, this Reader is an e-book reader application for Android, iOS, and Windows operating systems. So for one, it supports all the platforms. When you look at the formats which this reader supports, you won’t be disappointed at all. Epub, the most widely read eBook format worldwide. Unlike other readers, which kind of restrict you from getting your hands on other reading platforms, BlueFire just gives you a plain reader. You get the books and read here. That seems to be the idea behind this device application. You get to read your eBooks on your device. The only catch here is the books shall have to be in PDF or ePub. Before we discuss these factors, you may have to see that Blue Fire is more for ePub and PDF files. You shall have to employ a different eBook reader if you wish to read other types of files. However, the chances are that you’d turn to this all general eBook reader if you come across ePub that you want to read. The biggest advantage you get from this reader is that you can access millions of books available for free in ePub format in these following sites. This way you can save lots of money, without giving up on your favorite books. The app of the eReading is as comprehensive as it gets. Of course, other readers like Sigil, Calibre, or even Kindle lets you go ahead and browse online stores primarily for books. However, this application differs in a way where it gives you the freedom to explore. You can go to multiple book sites like Guttenberg, Online eLibrary, EBooks Portal, etc.recommendations, from within the app. You get to browse the books from all the sites, and perhaps even get them for free. Also, recommendations basing on what you are searching for. Mostly, you will not find the need to go anywhere else. However, owing to its ePub support, you cannot visit, browse and get Mobi ebooks on your device. Not many applications offer this. Adobe DRM is a method in which Adobe protects the documents with passwords and encryption. You can encrypt PDF files under Acrobat reader, and protect them. Hence, you can only open the DRM protected PDF files in case that you have the passkey for it. You bypass the whole process when you use BlueFire. Once you log in with your active Adobe account, you can load up any DRM protected eBooks or files, and quickly read them. However, as you are not allowed to open it anywhere else, you cannot export the file from within this application. Thus, Your files are happily sealed again. Of course, you don’t lose out any text details from the archive. This makes BlueFire the best reader, apart from Acrobat reader, to open native PDF files. Though a range of features is readily available on other devices like Aldiko, Kindle, Nook for Android, etc.a great deal, BlueFire stands up tall with plenty of tweaks and options when it comes to reading your PDF or ePub books. Thus, you can see that the features probably are, Adjusting fonts and backgrounds, inserting links, layouts & text alignments. To explain them further, you can have insert system fonts in it and change the text appearance according to that. Of course, you can use the system fonts if any. That’s the point of this app. It allows you to go ahead and read materials in the way you like it. When we speak for layouts, we are looking at how well the text appears within the app. If you have the habit of reading text horizontally, you still need to get the same experience as you do in a vertical way. BlueFire takes care of it by adjusting the screen margin size and fonts resizing to make the text more easy on the eye. This way you won’t have to squint around reading the epub file. One other smart feature that the guys behind this app gave out is the auto-adjusting backlight display. The app senses your background light and changes screen color depending on that. Before you ask, yes, there are sepia and night modes as well. 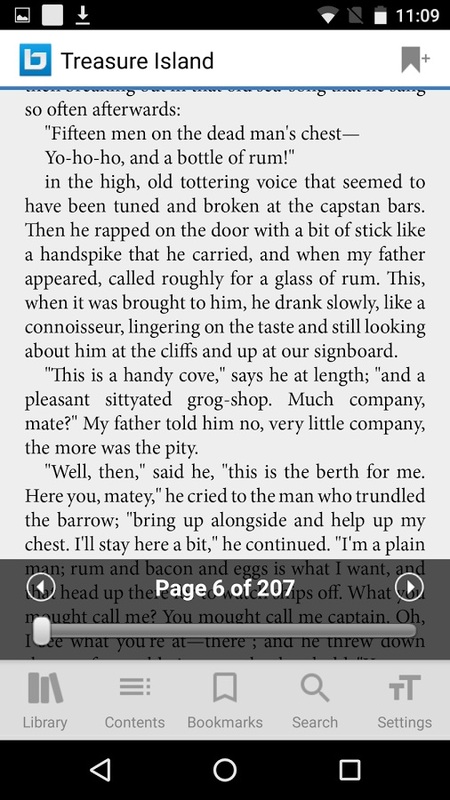 The app as any other eBook reader worth its salt offers you essential features like BookMarks and Highlights. You can quickly select a word, drag to select a sentence and keep them as a highlight. Also, it gives you options to share the highlights into other note-taking apps like Evernote, Docs, etc., This, or even share them online. Also, you can singly select different colors for different high; This is something innovative coming from BlueFire. However, generally speaking, the feature is not much of use to an average user. Also, you can insert links into highlights as well. You can quickly jump the connection into the highlights, leading from one book to the other. What you are effectively doing here is creating links between books. However, this feature is restrictive in PDF’s as they are more locked down than anyone else. Easily integrate your existing distribution platforms, vendors and websites into your app and retain full, real-time control over your customer experience. You don’t have to look for any other alternatives when you’ve got the BlueFire application with you. With users always in the prime, the app gives out facilities which you may not find anywhere else. Having said that, if you are looking to build a service which allows for users to read multiple formats for eBooks within their custom devices, this application gives that freedom. You can easily enable your customers to browse and purchase content. As the application is built open end platforms, you can go ahead and use it quickly. Bluefire Reader, thereby, is the best way to read Adobe Content Server protected eBooks on your iPhone, iPad or iPod touch. With Bluefire Reader, you can read EPUB and PDF eBooks from retailers, publishers, and libraries around the world. Bluefire Reader is designed with the reader, in mind. Are you an avid reader of ebooks. Do you have thousands of books which you’ve in your device across genres? Well, are you looking for an application which will group your books? BluFire does exactly that. It scans your device and SD card for all types of books. Epubs and PDF’s are immediately loaded up in the bookshelf. Depending on the metadata of each file, the genres are created in the app. The libraries of books allow you to get to the book you want to read in few quick steps. Of course, Helping you in this pursuit are the intuitively made navigation modes. You can navigate through the app, with four dimension Navigation. Additionally, You can also customize the navigation buttons to lead to any other shortcuts as well. You can make one button for the dictionary as well if you feel like it. The application has a high load of a dictionary, which pulls up not only your definitions but related words, synonyms and so on. Table of Contents: Read it anyway, but the application never fails to be great in navigation. You have great support for direct hyperlinks, which you can use to jump to a particular chapter, page and so on. Progressive Bar: As with many other eBook readers ( and especially Kindle devices/applications ), you will find that you can see your progress easily with the help of a progress bar. This is the bar at the bottom of your screen, which is very responsive. You may use this to go back and forth within a PDF, and more efficiently in ePub eBooks. Metadata Editing: See a book wrongly put in a group? This might be a problem with the metadata inputs that the file has. But can you tweak it to make more sense? Well with BlueFire you can easily do it. Just long press on the titles, and enter into the details tab. Here you can easily edit the details of the file. Image Saving: Did you ever want to save an image you saw in the eBook you were reading? Say a map or a sketch or just a small picture? You can do so by BlueFire, as you get the images in a separate window altogether. From here, you just can click and save or even share. Text Adaptation Features: You already know how to pull up a dictionary. Apart from that, you can do a lot many things with this application. Open links within its integrated browser. Also, you can lock the orientation of a text to appear clearly in a device like a phone or a device. In addition to this, you can go for the full-text search too. Search a particular word quickly. Of course, you can still set the alignment for the text. Now that you know what this app offers, you may have to try it out on various devices. The essential thing to do is to get the app on your smartphone. Below are some ways in which you can go ahead and test the app. The easiest way of getting the app for your smartphone is through Google Play. Assuming you are using an Android device, you can search for BlueFire in Google Play store and click on install. Run it after installation. The app will initially scan your device for books and load them into smart bookshelves. Later on, you can tweak the shelves according to the titles, authors, year of publishing, etc. 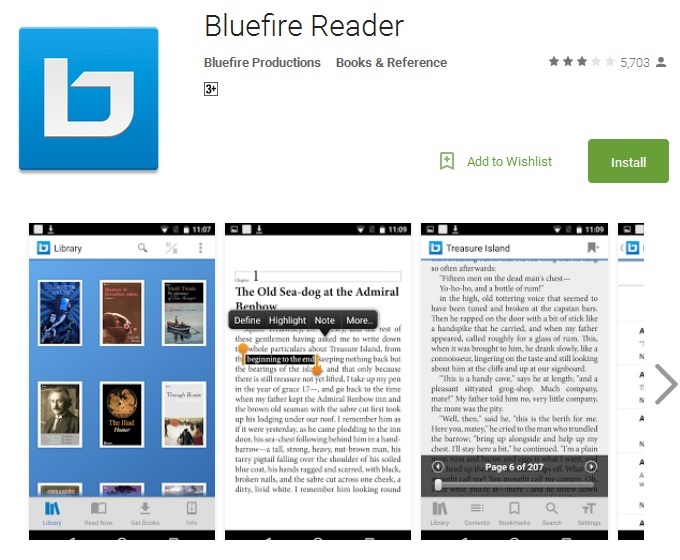 You are all set to read your first book within the Bluefire application. Although you get a rough deal when you try to use Windows smartphone for installing BlueFire, you can very well use it on PC. All you shall have to do is visit BlueFire website and get the exec file onto your PC. Once you get the exe file, click on it in order to run it. Upon installation, the first task it will do is scan your drives for PDFs and Epub. However, if you have a massive data drive, it may take a while before you get your bookshelf set. You can always add more books by browsing from within the app and finding books of your interest. You can as well connect your virtual drives, say DropBox or Google Drive offline to it so that the books are in sync. The virtual drive is a neat little trick always to maintain a great collection of books without losing out on space. Click on the title, and it will get downloaded into the system. Read it and when you are done reading it, delete it. You can also, edit the metadata within different books, and arrange them as you like. 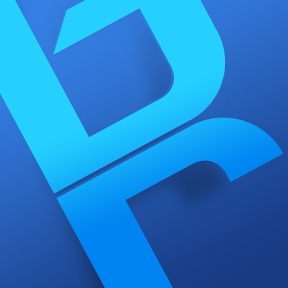 Bluefire is a great little app to go for, when you are looking for reading PDFs, and ePubs. Of course, there are plenty many alternatives that you will find in the market like Calibre, Sigil, etc; this is worth a shot. However, if you are a publisher and are looking to make your eBooks ready for these apps, you will have to approach a publishing services company. A publishing services company which gives the top of the class eBook conversion service at the most competitive pricing ever. Visit us, and we are sure that you won’t look for anything else.